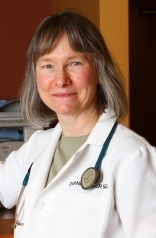 Dr. Ritter is Board Certified and is a member of the American board of Obstetrics & Gynecology. Her hospital affiliations is with Metropolitan Hospital Center. She has extensive clinical experience in caring for patients in New York City and the Bronx. Her calling in life is to offer confidential communication with her patients, especially about sensitive gynecological issues. She completed her residency trainig at the albert Einstein College of Medicine in the Bronx, NY and stayed on there to do a clinical fellowship in Pap test screening and Human Papillomavirus(HPV) research. She earned a Masters in Public Health from New York Medical College, which provided her tools to further her goal of providing access to good health care for all women in the neighborhood.